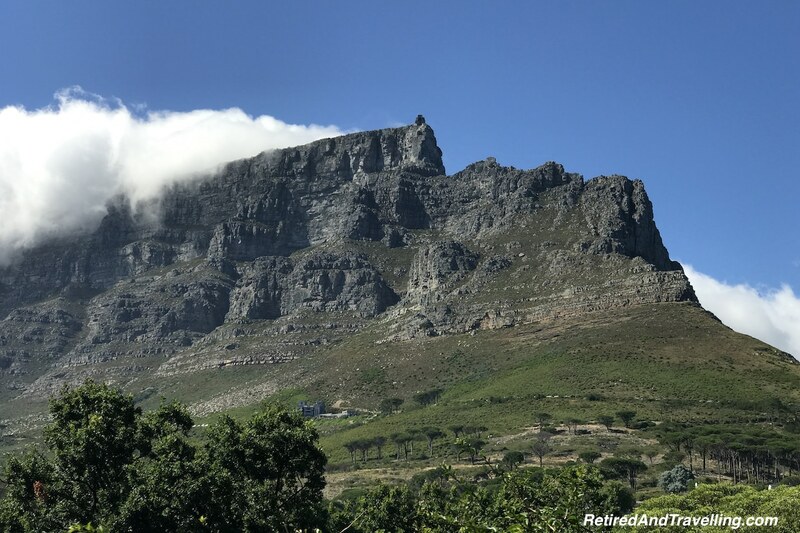 The view of Table Mountain standing proud over Cape Town is the iconic view of the city. You need only see that classic flat topped surface and you know where you are. 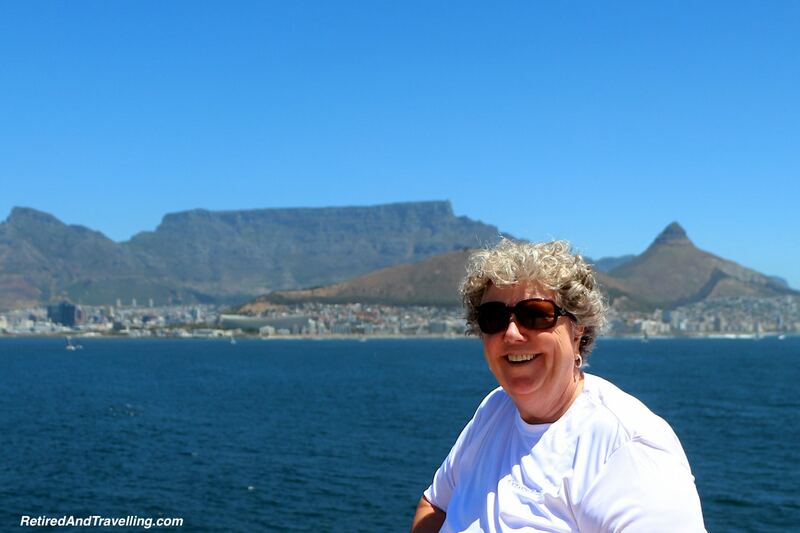 We could see how the sea and mountains surround Cape Town when we arrived by cruise ship after 51 days at sea. 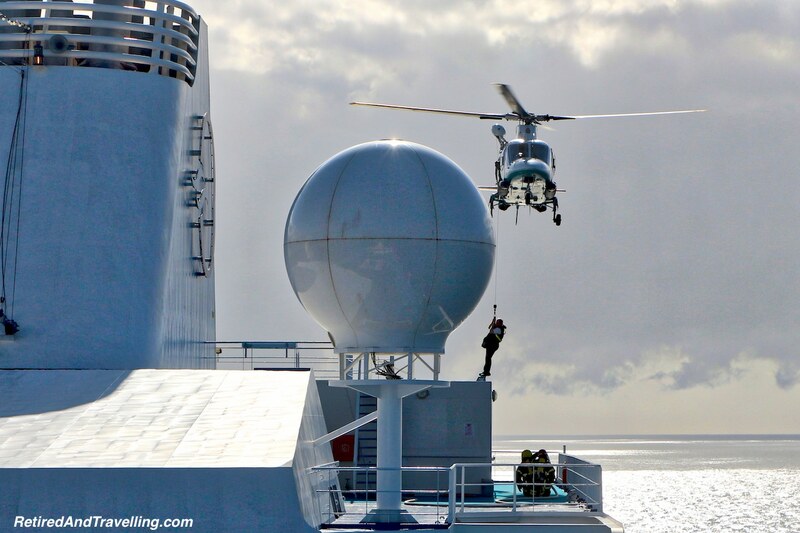 The first excitement we had on board was watching the harbour pilot arrive on the cruise ship by helicopter. 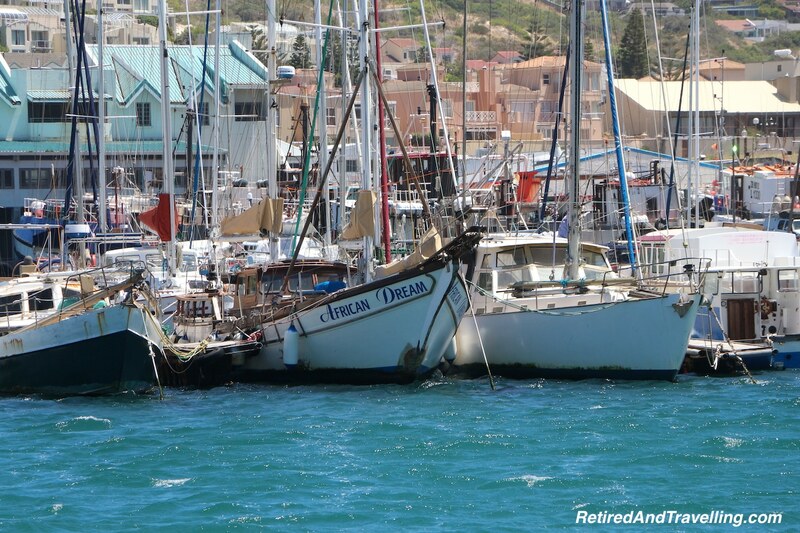 In virtually all ports, the cruise ship must have a local pilot take the ship into the dock. Most pilots arrive by boat. 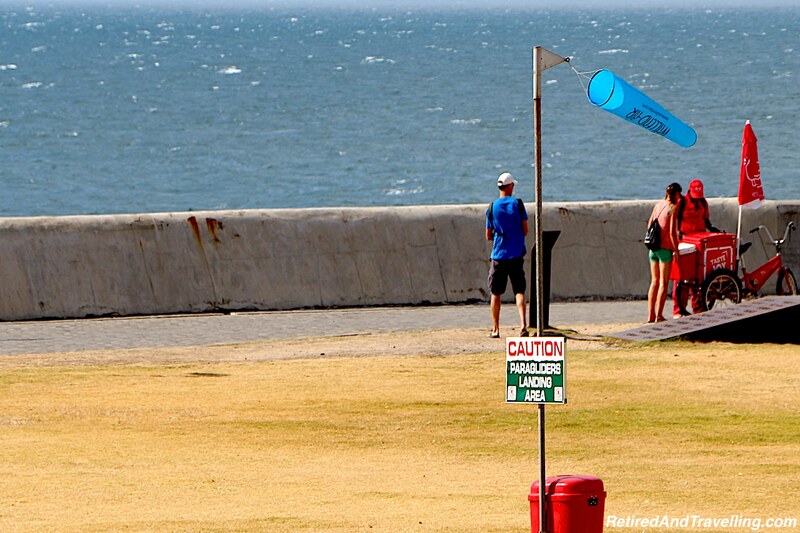 In South Africa, it was much more exciting when the helicopter let the pilot down onto the deck in a harness! Everyone crowded the deck for the last hour of our cruise into the harbour. 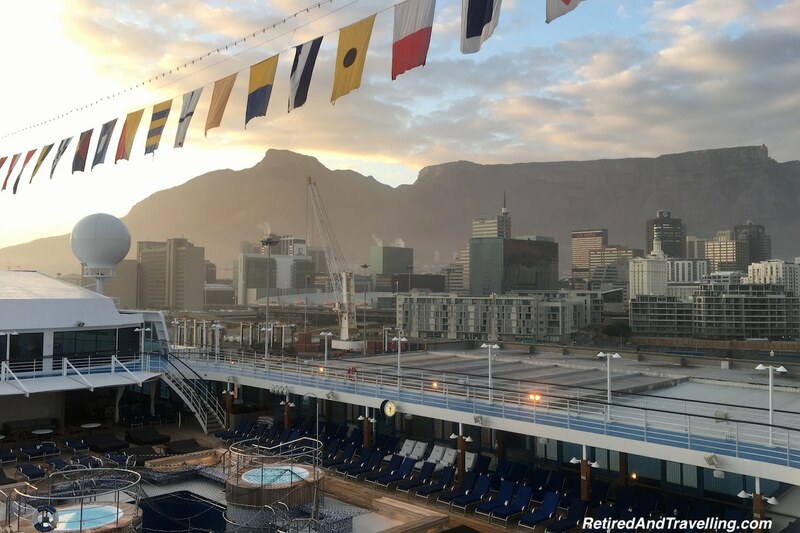 Arriving by water, it was easy to see that the sea and mountains surround Cape Town. 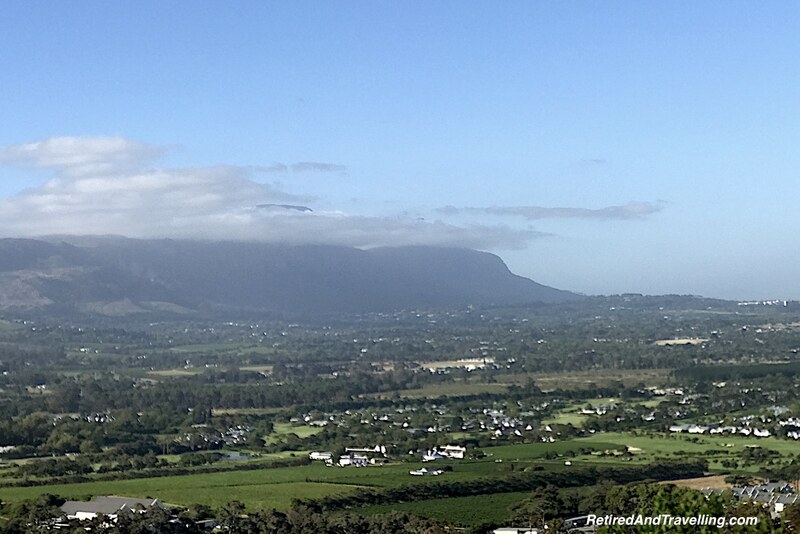 In the morning as the sun was rising, you could see Table Mountain standing high above the city! 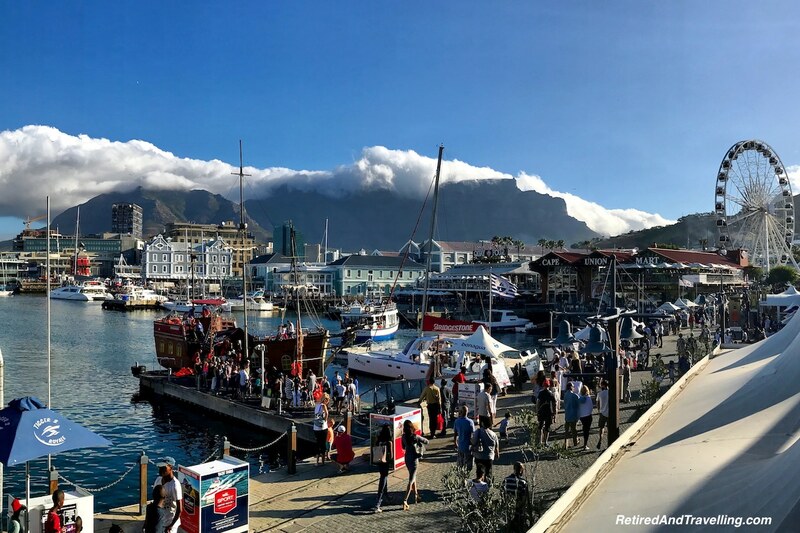 Everywhere we went on our 10 days in Cape Town you could see Table Mountain. Some days it was clear and bright. On other days the “table cloth” of cloud drifted over the top and down the slopes. 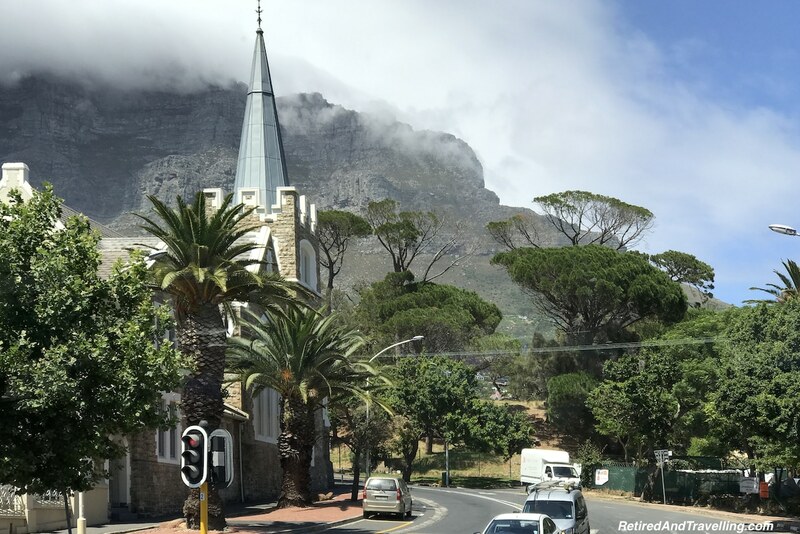 If you left the city of Cape Town, you would often get a view of the backside of Table Mountain that was the signal that you were almost home. 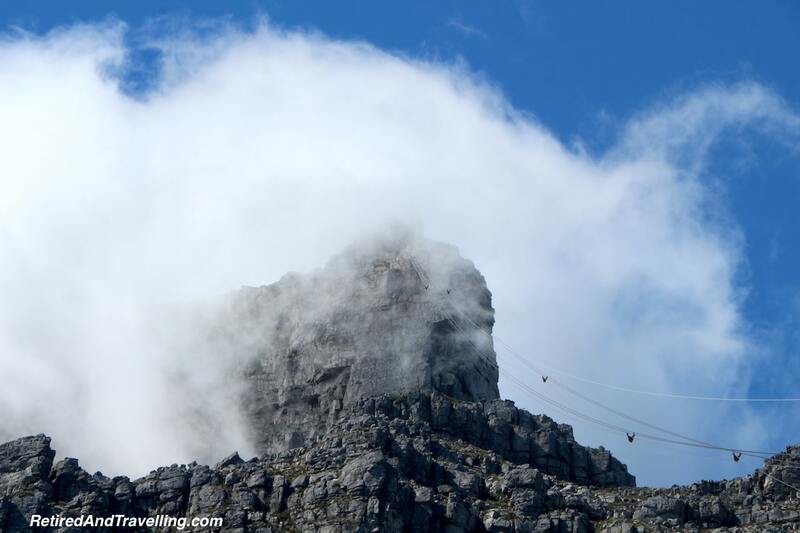 There is a cable car that will take you to the very top of Table Mountain. You can go to the lower level of the cable car for a good view or take the cable car right to the upper summit. 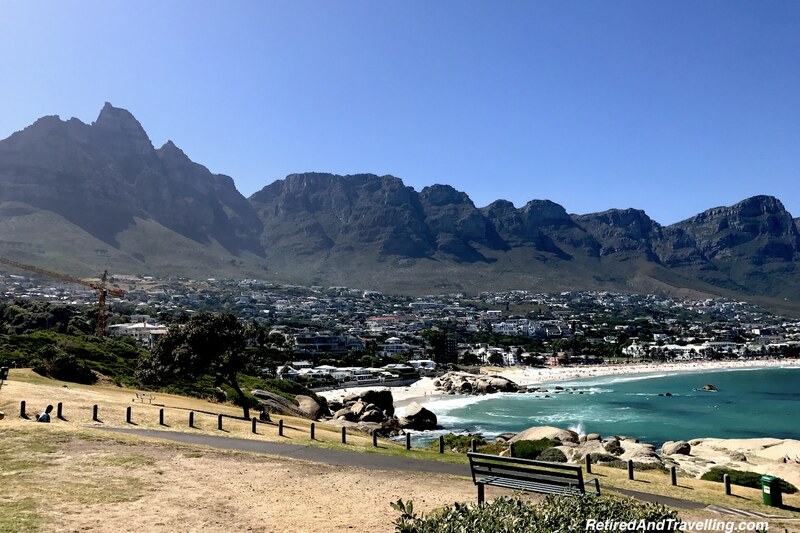 When you go up to the heights of Table Mountain, you will get a great panoramic perspective showing that the sea and mountains surround Cape Town. 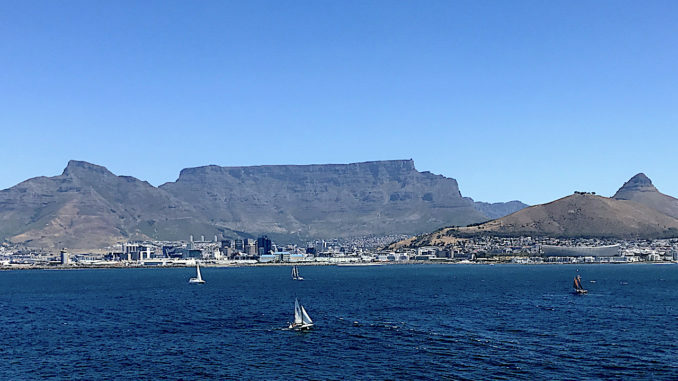 Table Mountain is the most recognizable mountain looming over the city. But from most parts of the city you can also see the other two major high points in town. 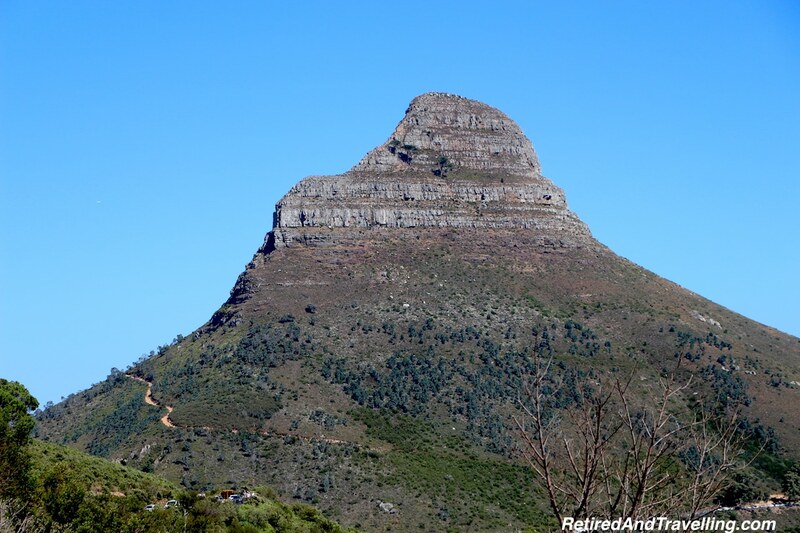 Lions Head is the rougher, higher summit. 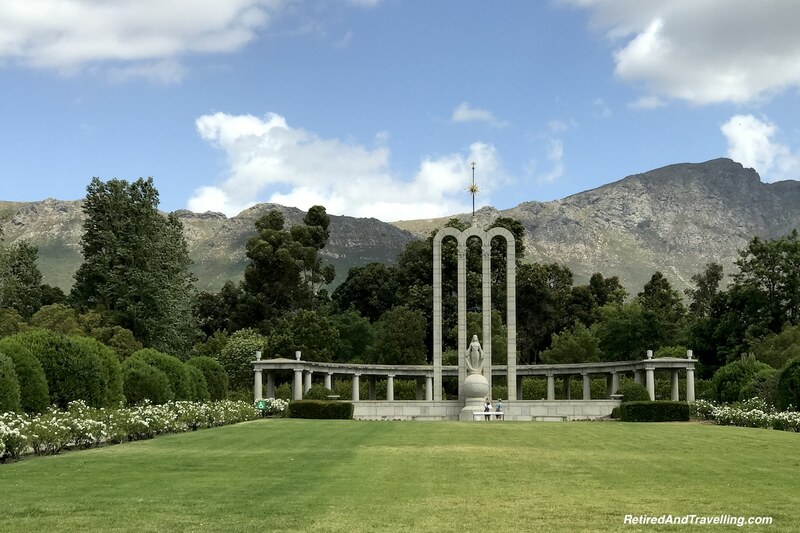 It is quite distinguishable when you head back to Cape Town from your day tours! 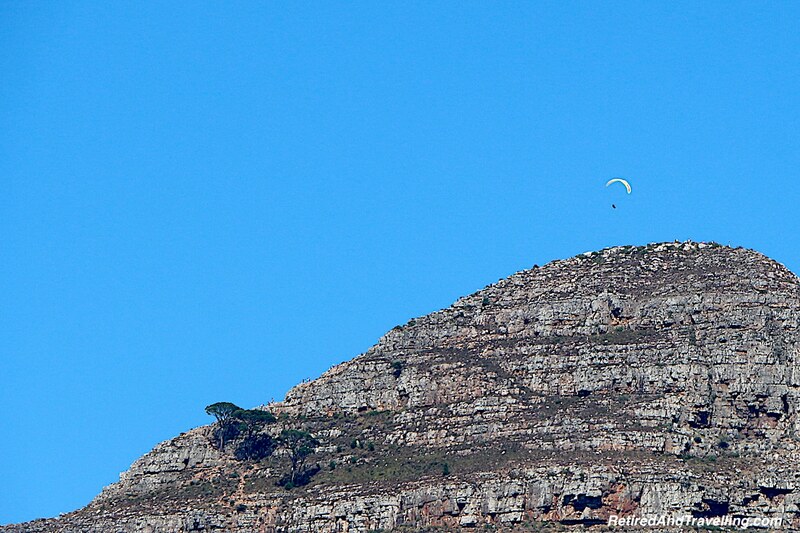 When the winds and thermals are just right, the paraglider launch from Lions Head and land on the beach! 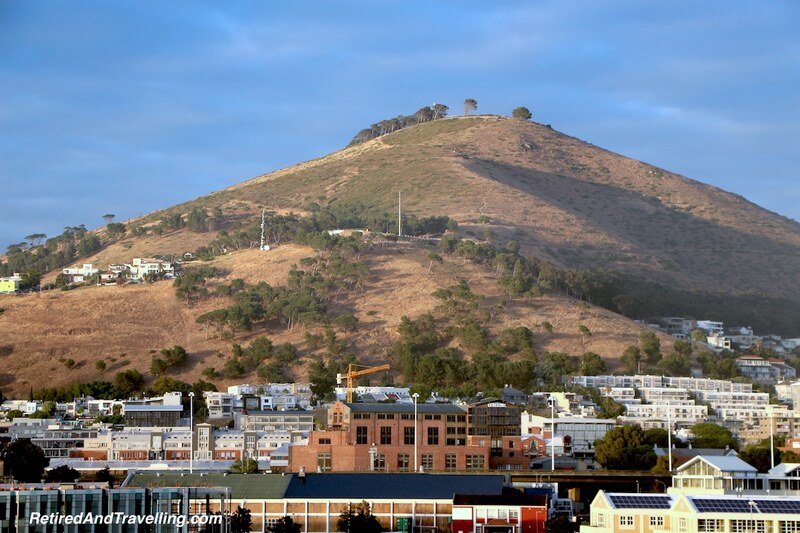 Signal Hill is a smaller hill with a gentler slope. We could see the road that wound its way up to the top. We had wanted to go to Lions Head or Signal Hill for sunset. From there you can look over the to beach side and watch the sun sink into the ocean. We did not rent a car and there was no public transport up to the peaks. Our hotel warned us that a taxi might leave us stranded. In the end we did not have the energy to do the long climb to the peak and face a walk down in the dark. 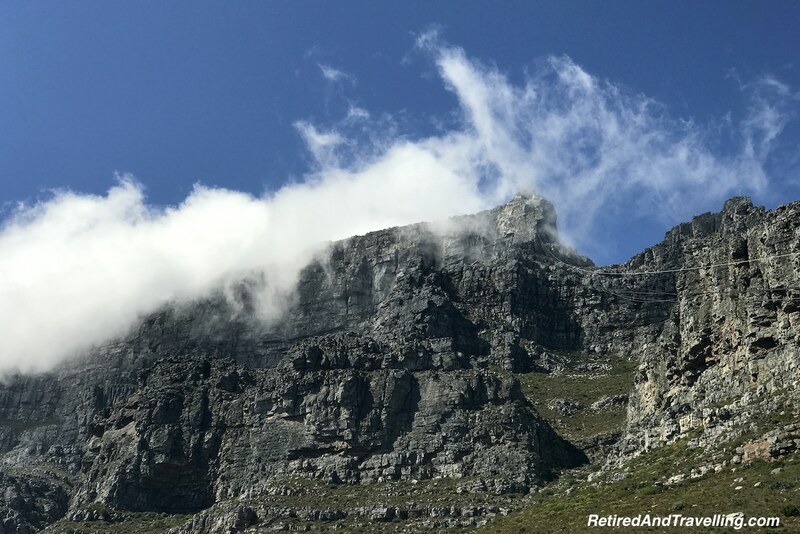 If you head over the pass between Table Mountain and Lions Head, you will find more sea and mountains surround Cape Town. 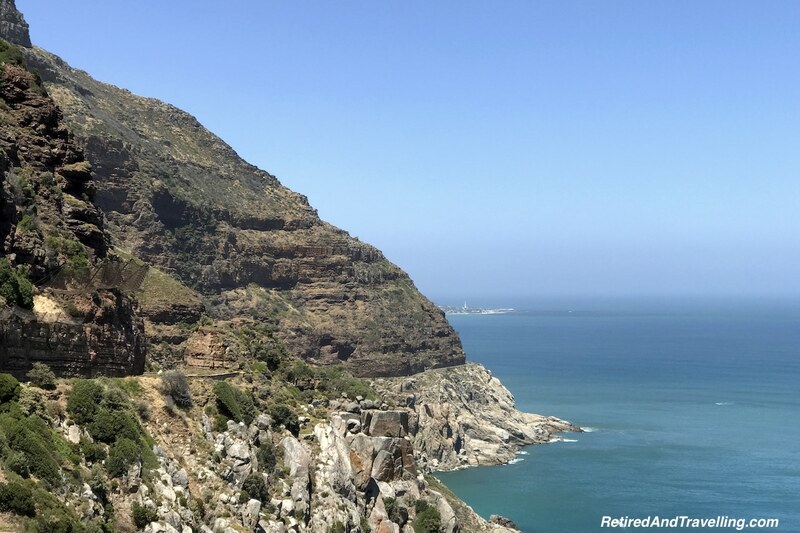 From this Atlantic Ocean side, you will find the most awesome views of the 12 Apostles. If you count them however, you will find many more than 12! 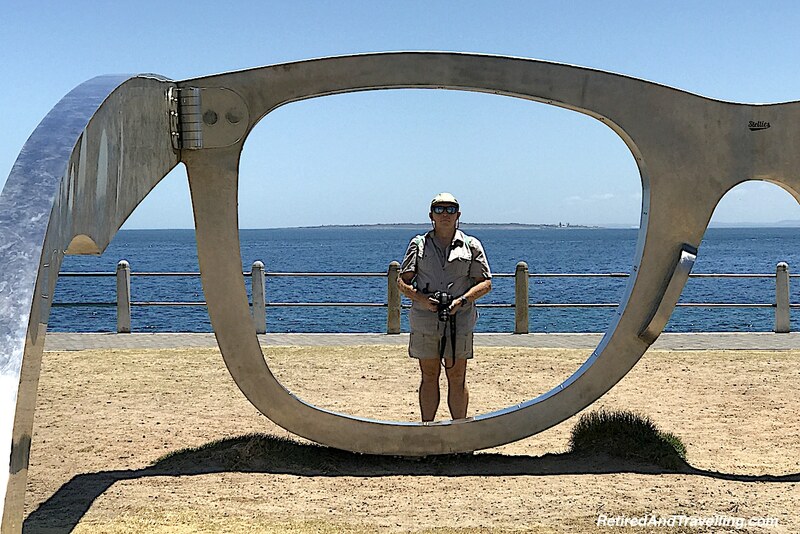 No matter what direction you head from Cape Town you will find that sea and mountains surround Cape Town. 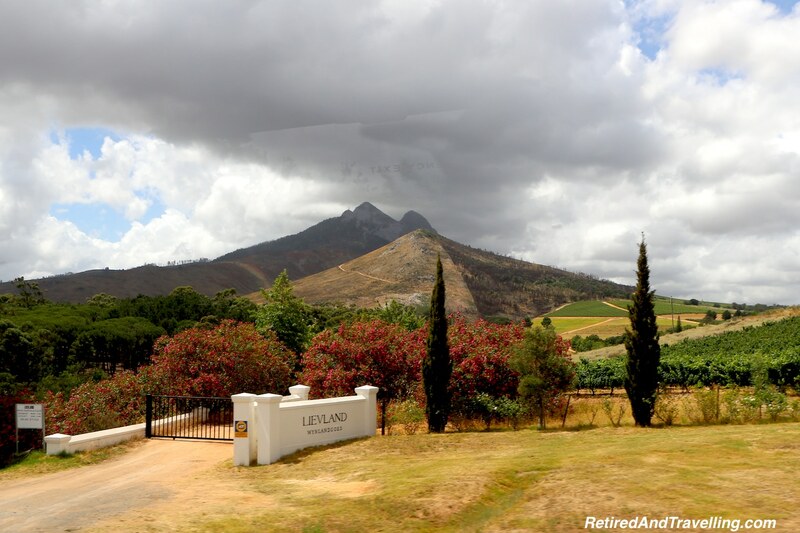 When you visit the Stellenbosch wine region, you will find this verdant valley nestled below the Stellenbosch Mountains. 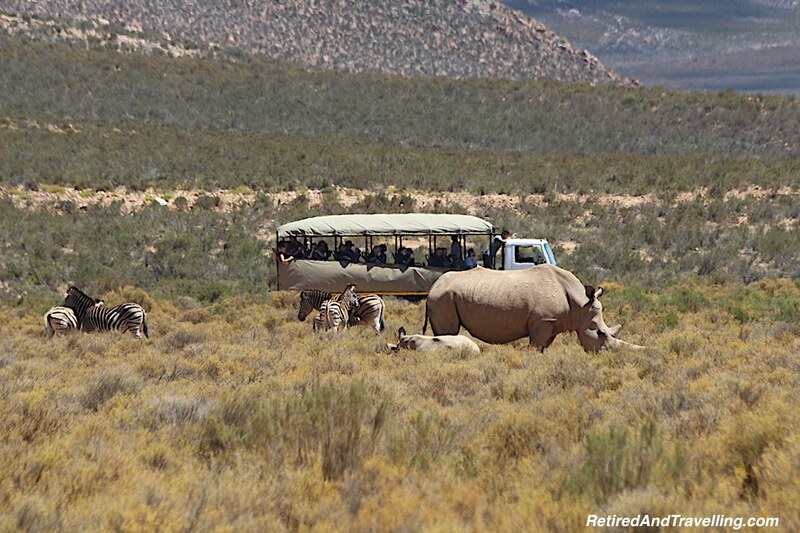 We travelled to a game drive, past the wine fields to the high mountains. 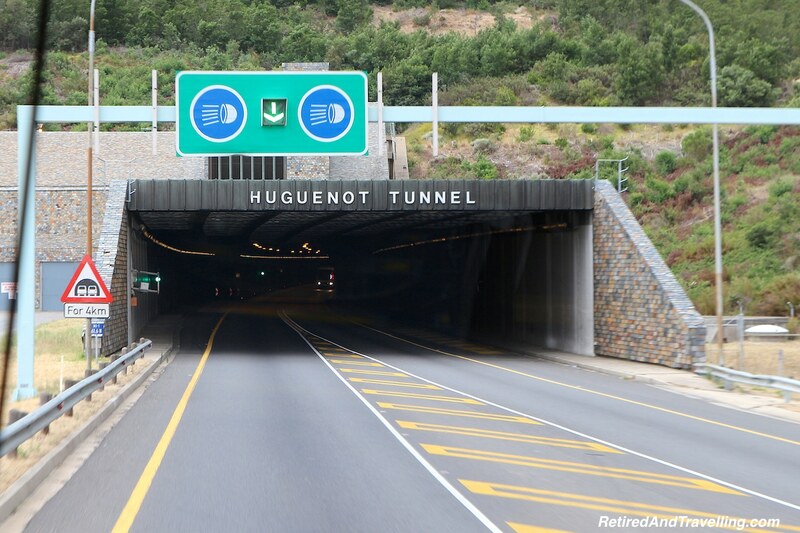 The Hugenot Tunnel is cut through the Du Toitskloof Mountains. 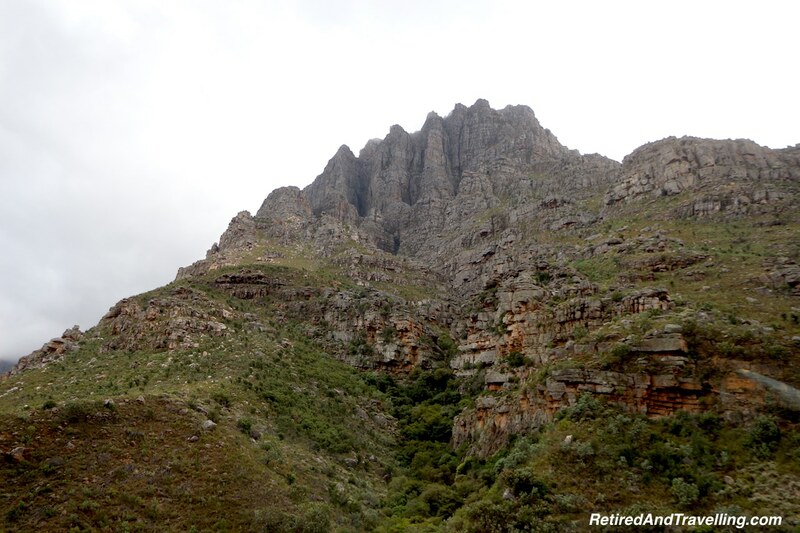 The mountains are wild and rugged until you arrive in the valley. 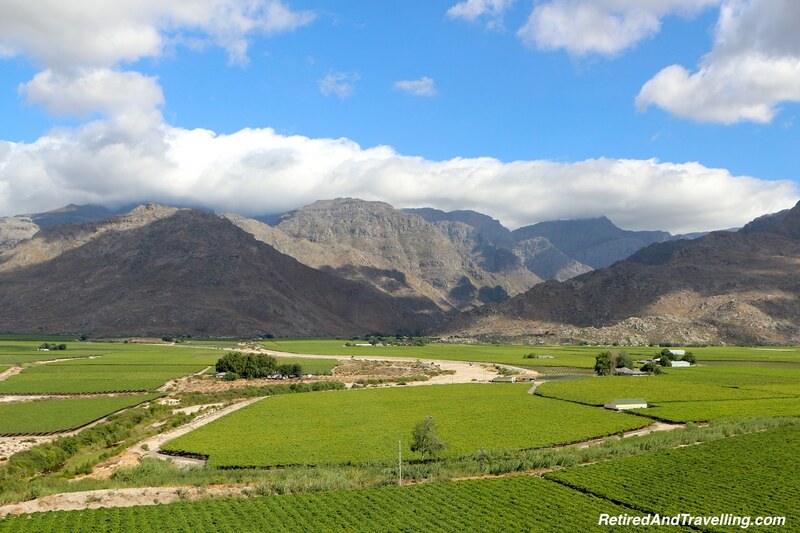 Then the string of mountains form the backdrop for lush fields until the dry arid lands surrounding the game reserve are found. 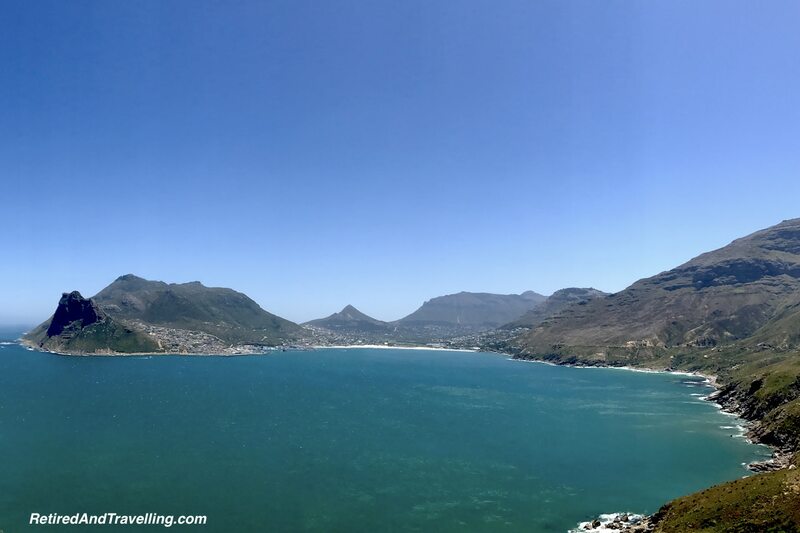 If you head towards the Cape of Good Hope, you must travel through the mountains that ring Hout Bay. 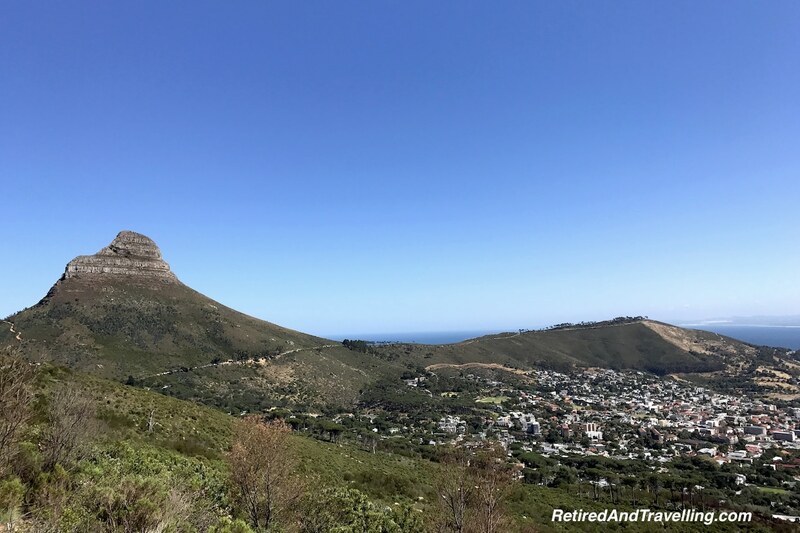 Chapmans Peak Drive takes you along the sea high in the hills. More mountains ring False Bay when you pass the Cape. 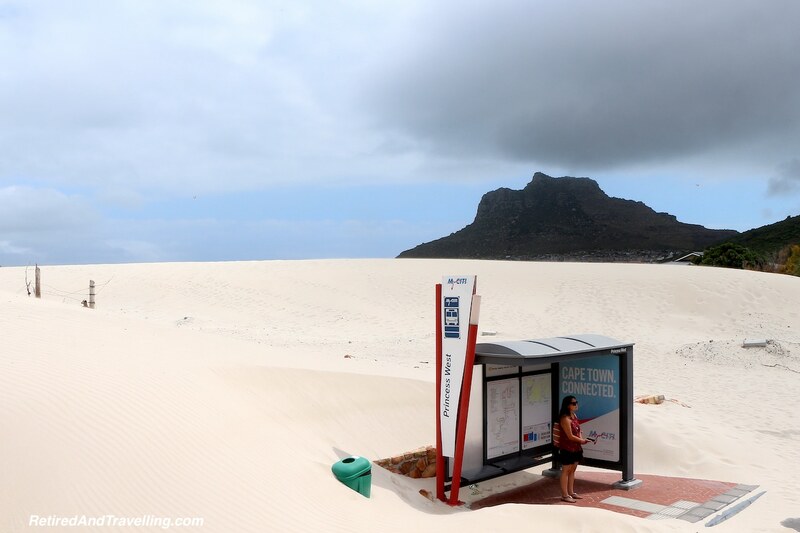 If we found mountains everywhere we travelled around Cape Town, we also found amazing beaches and sea views in all directions. 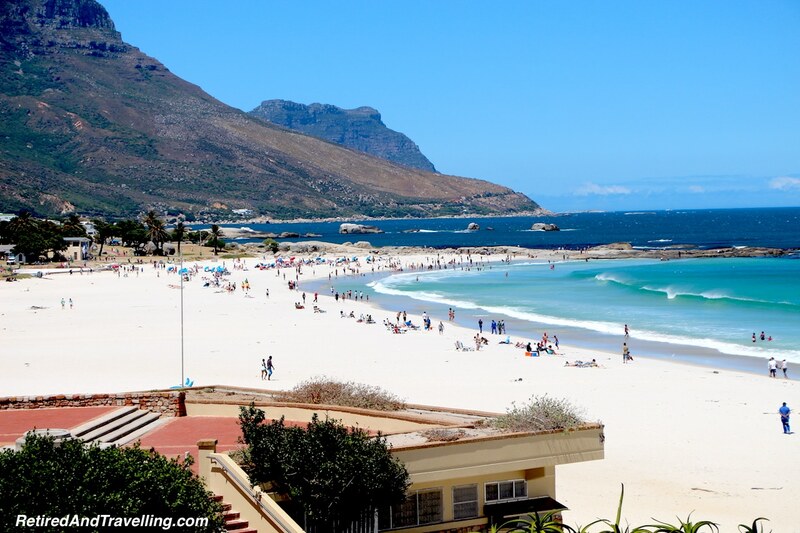 The beaches of Camp Bay and Clifton are sheltered behind Table Mountain and are the sun bathing and swimming beaches. That is of course if you are hearty and don’t mind cold water! In many places there are natural hollows that fill with water that quickly warms up. Adults and children alike can lounge in these spots without the waves and cold of the Atlantic Ocean waters. 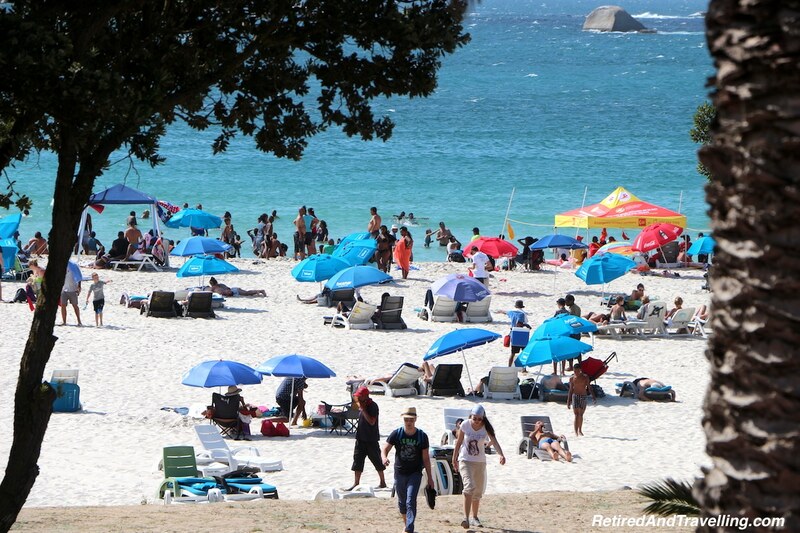 On the long stretch of beaches, you can find more secluded spots if you want a quieter beach day. The sandy beach turns to a more rocky and rugged shore. 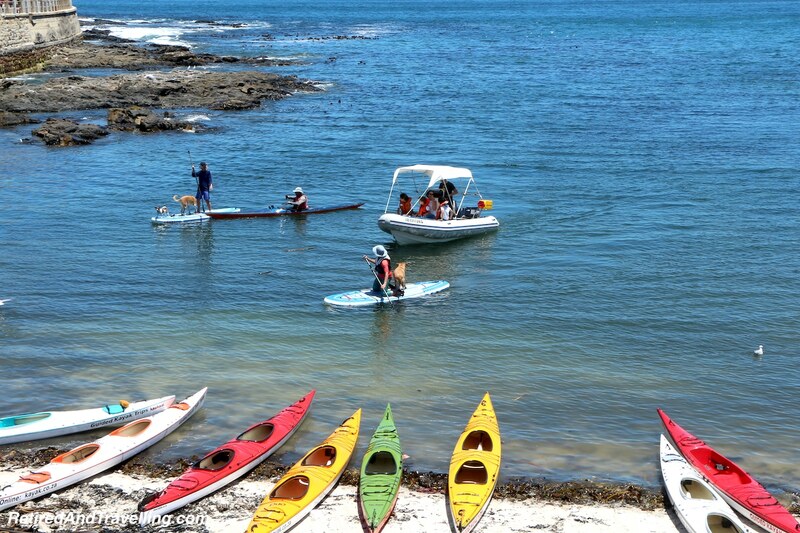 With beaches on all sides, there is no shortage of outdoor fun. 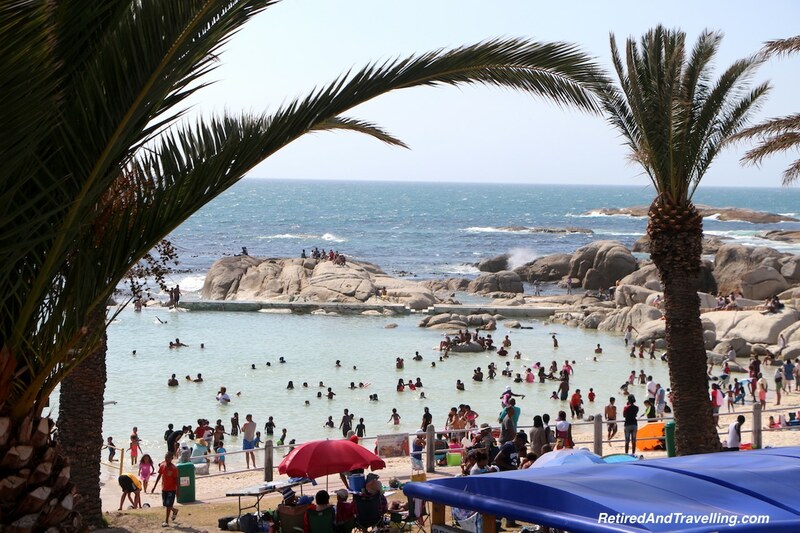 Outdoor pools offer a refuge from the pounding surf and riptide concerns. There are places to rent boats, SUPs (Stand Up Paddleboards) and windsurfers. You can even take your dogs along! The boardwalk provides a great path along the water. 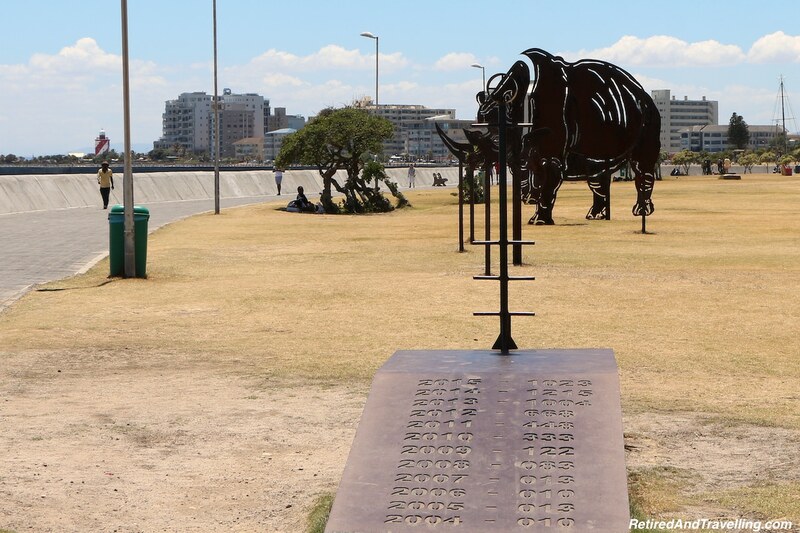 The adjoining park provides playgrounds for the children and interesting outdoor art displays to make the walk interesting. 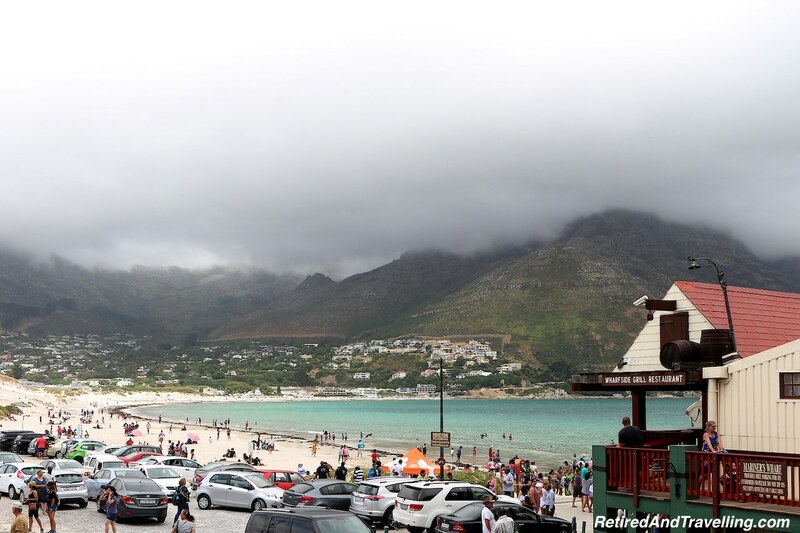 Hout Bay is a fishing port with a large sheltered sand beach. 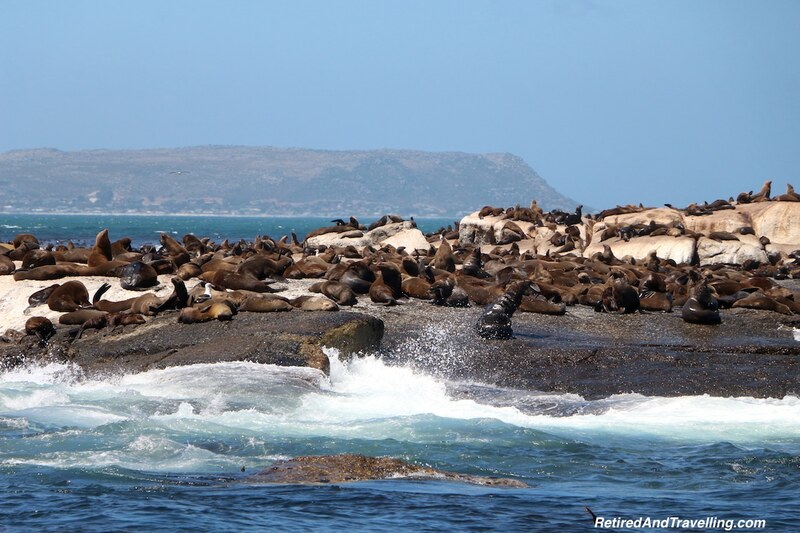 You can even get some excitement with a boat trip to see the Cape Fur Seals. 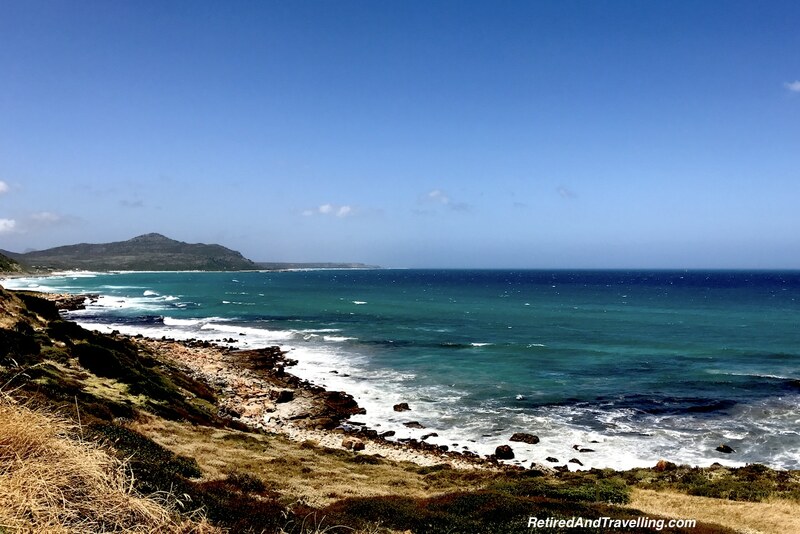 The mountain hugging roads along Chapmans Peak to the Cape of Good Hope offer stunning sea vistas. The waves crash on the rocks or on the long stretches of sand beach. These beaches reminded me so much of the shorelines along California. 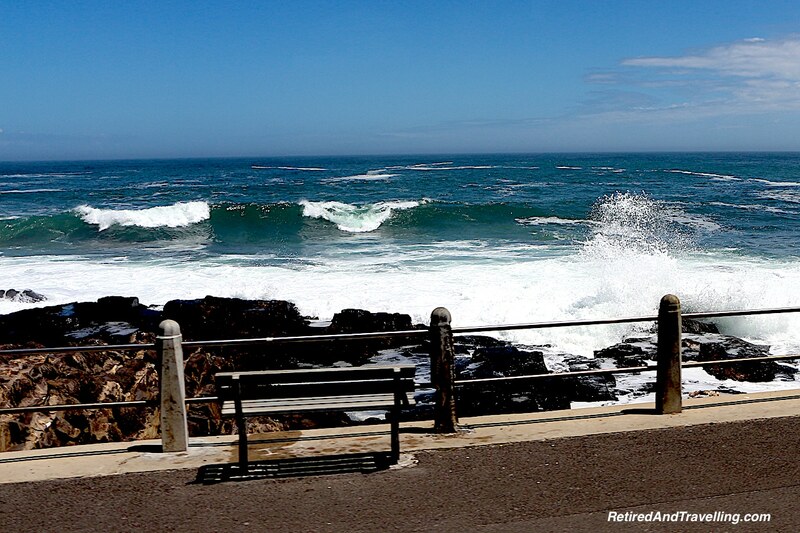 While the beaches on the backside of Table Mountain may be sheltered and calm, it is not hard to find pounding surf as you head out to the Cape. 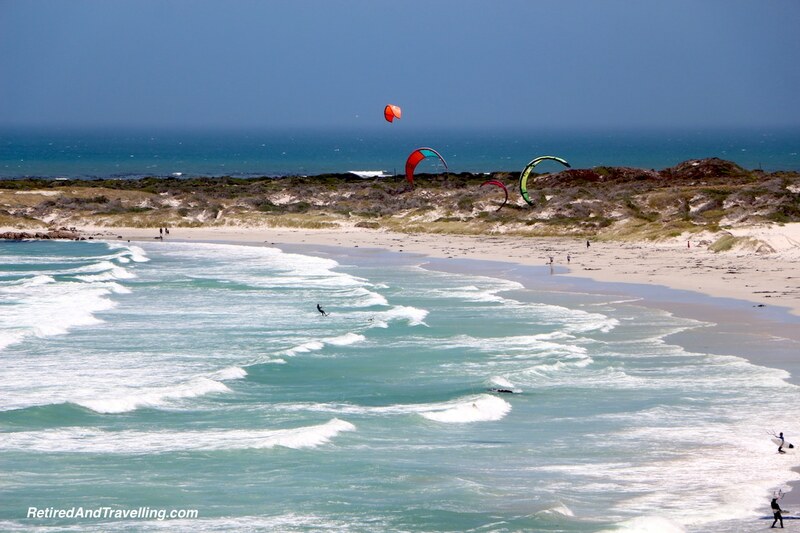 This is an ideal spot for surfing or kitesurfer fans. 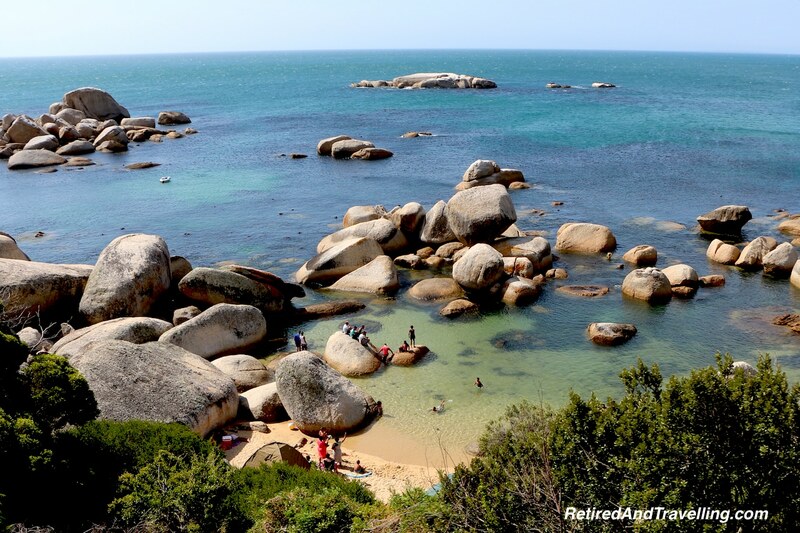 If you head along the shore of False Bay, you will find Boulders Point. Walk out along the boardwalk and you will find a busy beach. 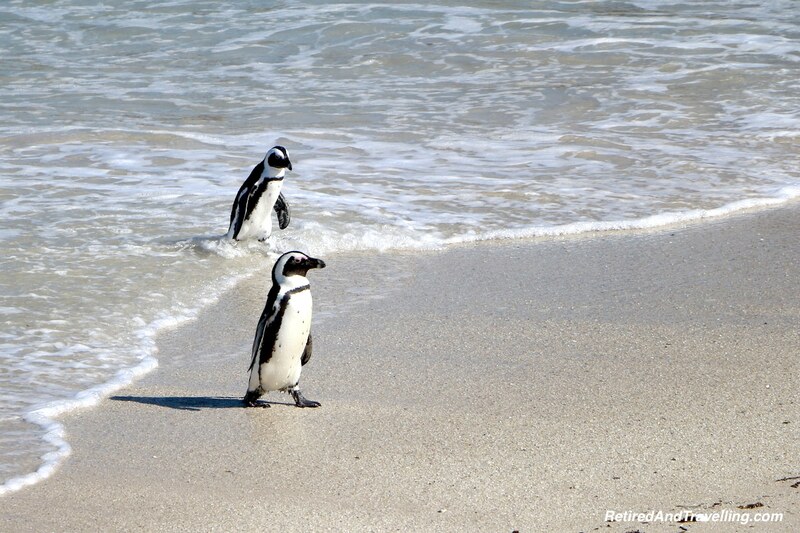 But this beach is home to the South African Penguins! 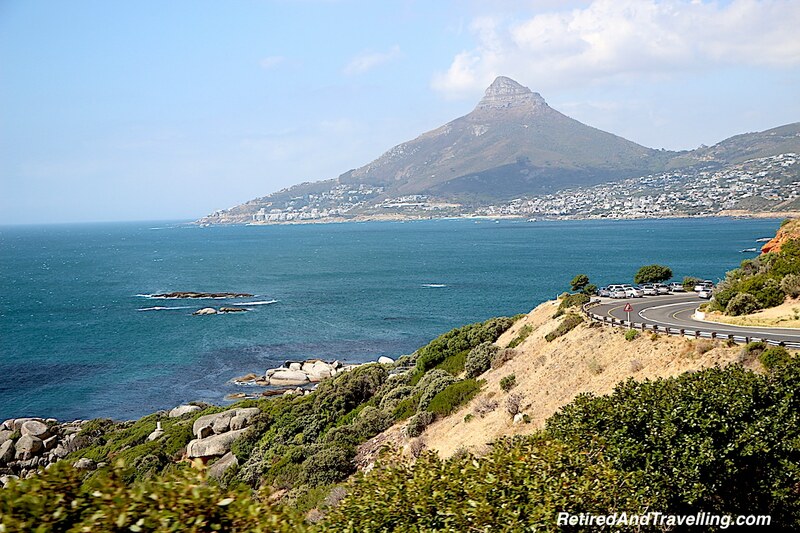 No matter where we travelled for 10 days in Cape Town, we marvelled that the sea and mountains surround Cape Town. If you are a mountain lover, you can get the panoramic views or good hiking that you want. Beach bunnies will find pristine white sand. 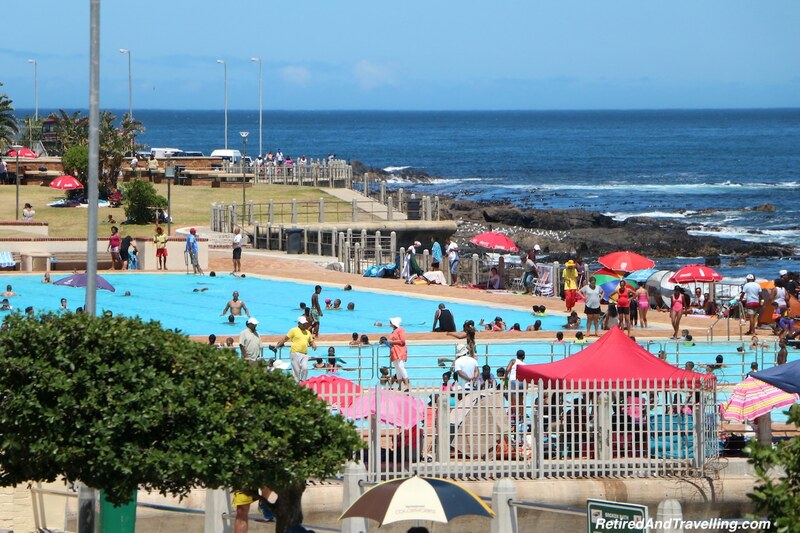 Parks and pools provide outdoor fun. For the more adventurous, you can head out to sea. 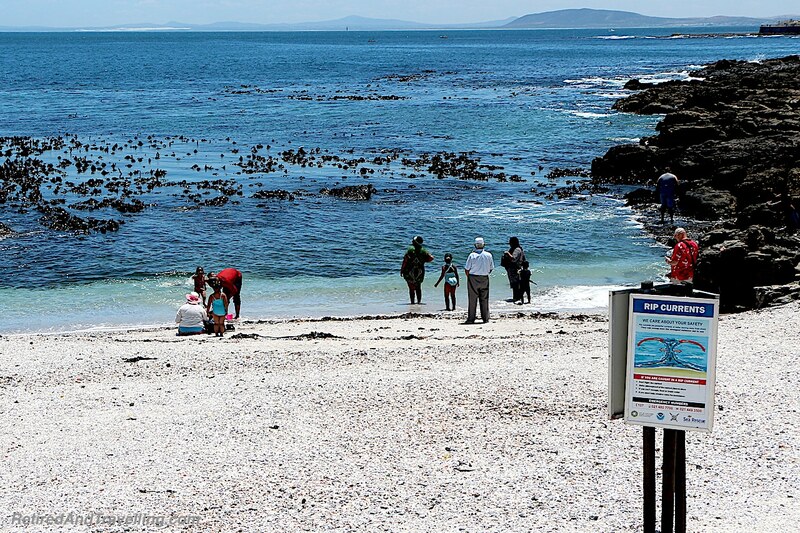 We were disappointed not to be in Cape Town at whale season. We had seen whales in Monterey and again in Vancouver. But we never tired of seeing these large mammals in the wild. David had wanted to do a great white shark cage dive when we were in South Africa. We were just on the edge of the season. When the southwestern winds blew and stirred up the seas, all hope of shark diving on this trip passed. 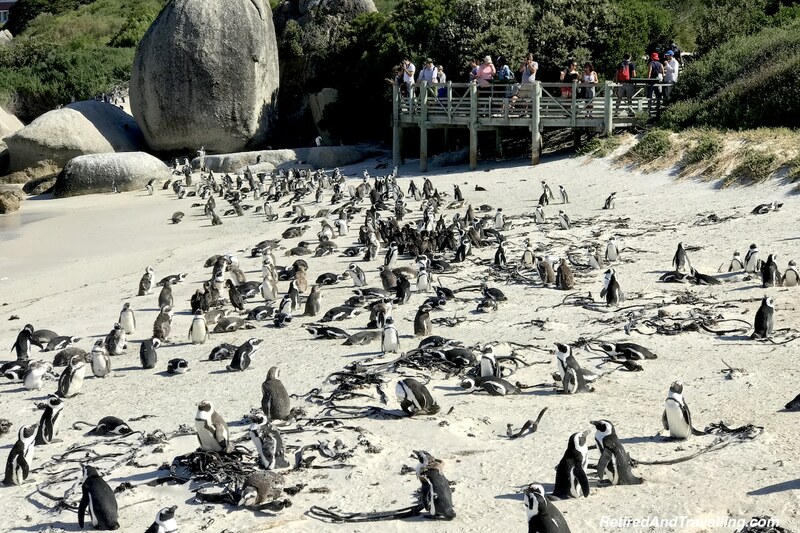 I had heard about the natural beauty of Cape Town. We had seen some pictures when we were planning the trip. But I truly was not prepared for how awesome I found the outdoor landscape in Cape Town. 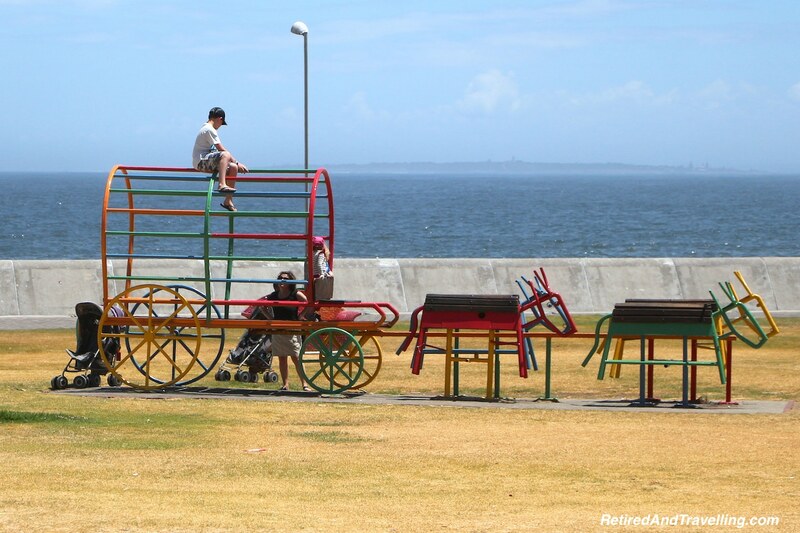 See and mountains surround Cape Town to captivate wherever you look! 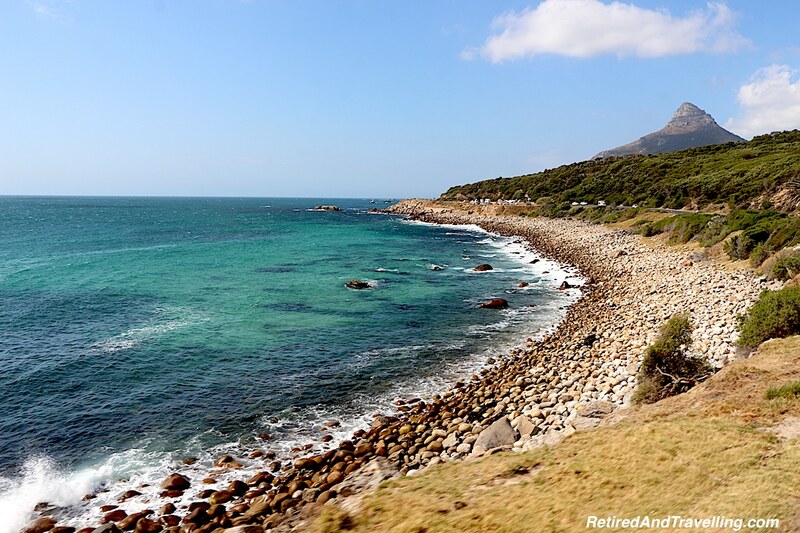 Did you know that sea and mountains surround Cape Town? Which is your favourite – sea or mountains?